1. I'll call you next week I promise. 2. You do that again and I will ground you forever, I promise you that. 3. I promised my wife three years ago I would paint this house and one of these days I'm going to do it. 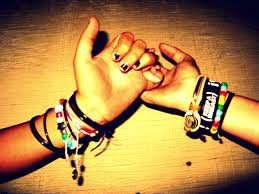 A promise made is never forgotten, brake a promise and you will lose the trust and respect of others. When you make a promise your word and reputation is on the line. This is why you must weight the benefits and consequences. Do not make a promise you do not intend to keep, and know what you are getting yourself into before the promise. There are five conditions in which a promise would not be binding. 1. Where the performance is impossible. 2. Where the promise is unlawful. 3. Where you were forced into a promise. 4. Where the conditions in which you made the promise do not exist. 5. Where either of the parties are not moral agents. It is obvious that these conditions do not apply to Masonic promises. 1. Every promise is possible to perform. 2. No promise is unlawful. 3. There are on false conditions. 5. Both parties to the promise are moral agents. Our promises are one of the moral secrets of the fraternity and is the cord that "binds" us as Freemasons.